A gingivectomy is usually performed when a patient has a severe gum disease that cannot be cured with antibiotics or scaling and root planing. 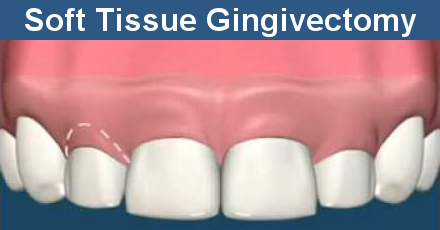 Gingivectomy is used to remove and reshape loose, diseased gum tissue to get rid of pockets between the teeth and gums. The best dentist in Glendale, who has great experience in successfully carrying out such procedures, will help you with soft tissue gingivectomy. Call 1-818-578-2324 for a consultation now. 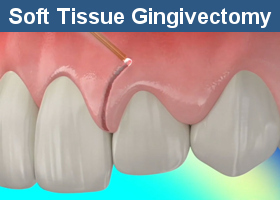 Gingivectomy is an operation that is performed on soft gum tissues. It is the surgical removal of the overgrown margin of the gum, which form periodontal pockets. In those pockets, the remains of food and plaque provide a nutrient medium for harmful bacteria and subsequent inflammation. So, those pockets must be cleaned and treated as soon as possible to eliminate the complications. The patient himself cannot decide whether they need an operation. This decision can only be taken by the dentist. 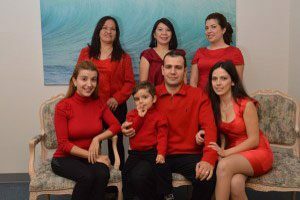 The best dentist in Glendale, Dr. Sahakyan can correctly assess the health status of the oral cavity organs, and make a forecast of a possible relapse of the disease. If other methods prove to be useless or ineffective, he can recommend to you gingivectomy. How Does the Gingival Pocket Appear? Non-compliance with dental hygiene leads to sad consequences, one of which is the formation of pockets in the gums. The pocket is a free cavity between the tooth and the gum, in which the remains of food are accumulated. They are transformed by pathogenic microorganisms into tartar. 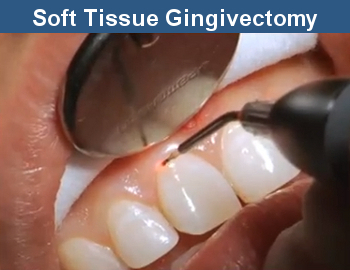 To get rid of the gingival pocket, the gingivectomy is performed. Gingivectomy is called an operation to eliminate the gingival margins. At first, the dentist removes the gingival pocket, which can be filled with food residues and be the source of infection in the mouth. Most often, the formation of pockets is a characteristic of periodontitis. With periodontal disease, there is a hollow between the gum and tooth or pocket. Nutritional effects provoke constant inflammation. If the pocket is not removed in a timely manner, it will lead to the penetration of the process into the depth with damage to the periodontal and the root. The operation is done under local anesthesia. It usually takes about 30 minutes, depending on the type of gingivectomy. The purpose of the operation is the removal of a part of the soft tissues. This is done in order that it would be possible to conduct a full-fledged oral hygiene in the future. This will not allow the accumulation of dental deposits in the gingival pockets. professional cleaning of teeth. It is carried out to remove tartar, plaque, food debris, which is, a nutrient medium for the development of pathogenic bacteria. the introduction of a local anesthetic. The operation is performed under local anesthetic, which lasts several hours, but this is enough to do all the necessary manipulations without feeling pain or discomfort. Dentist Glendale, Dr. Sahakyan removes the periodontal tissue partially or completely, depending on the indications. The periodontal pocket can be removed as on one tooth, as on several at once. Removal of the gingival pockets is performed with a laser. The laser helps to minimize postoperative complications. After removing the gingival tissue, the dentist may put a temporary putty over your gums. This will protect gums while they heal. Thanks to all these procedures, tissue recovery occurs faster. laser surgery is characterized by rapid tissue healing, low traumatism and minimal probability of complications. advantages of the procedure include minimal postoperative discomfort, and minimal time spent to perform the procedure. At the postoperative stage, the dentist will explain to you how to care for your teeth during the rehabilitation period. Careful attention in the postoperative period should be turned to oral hygiene. Cleaning teeth should be gentle – you should use a brush with soft bristles. Sometimes the dentist recommends that you do not use the brush and thread for a while, but use only a special rinse aid. Call us at 1-818-578-2324 or contact us to schedule an appointment today. What Can You Not Eat and Drink after Surgery? Smoking and alcohol use should be completely ruled out or minimized as much as possible. 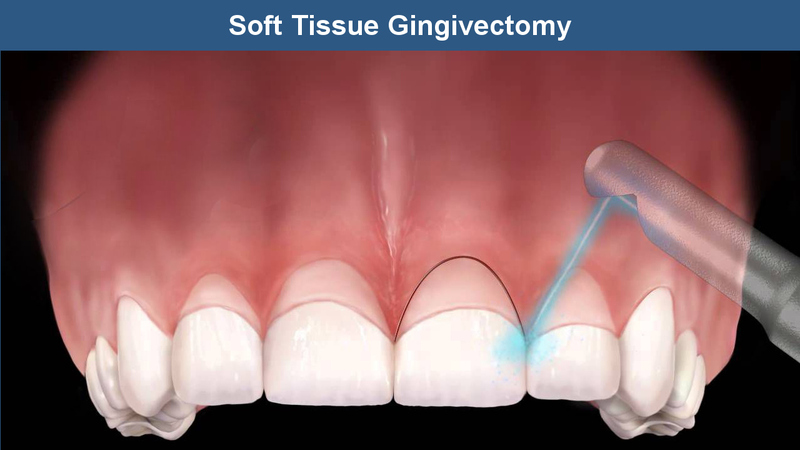 How Gingivectomy Corrects Your Smile? After gingivectomy, the teeth visually increase, and the gingival form changes. Aesthetic surgery makes it more correct and attractive. After carrying out hardware cleaning and bleaching in combination with gingivectomy, your smile can become truly ideal. 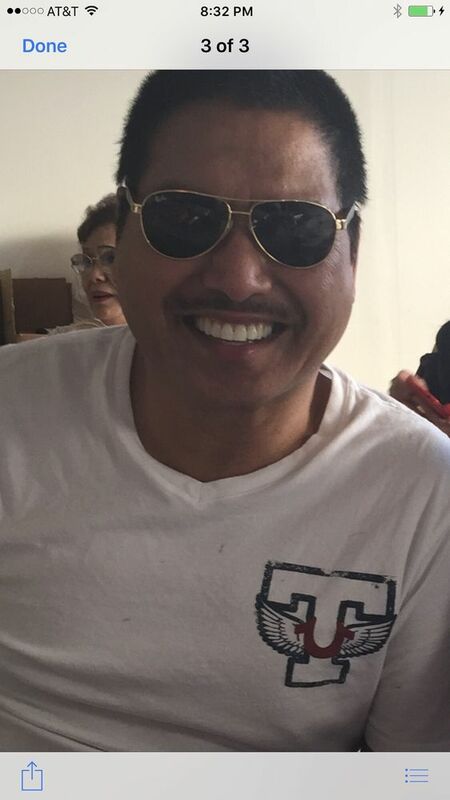 Smile Makeover of LA offers dental services in Glendale, Burbank and surrounding areas. If you would like to make an appointment to see the best dentist in Glendale Dr. Sahakyan, contact us or give us a call at 1-818-578-2324. Dr. Sahakyan will perform a thorough examination, promptly identify any problems and suggest options to deal with them effectively.